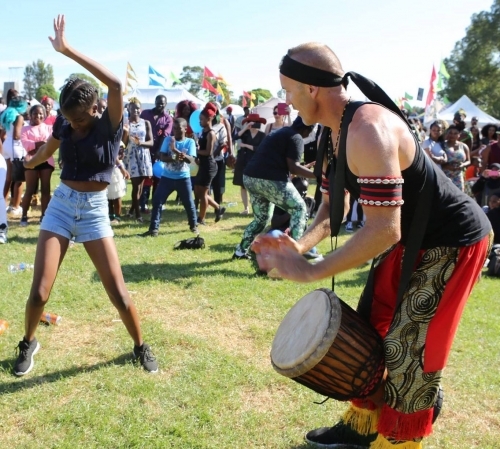 Drumassault is a Canberra-based group that performs traditional percussion-based music and dance from Guinea, West Africa. With experience built from playing all over Canberra and surrounding region for the past ten years, Drumassault has firmly established their reputation as a tight group of skilled percussionists and young dancers that performs an energetic set of authentic traditional West African music with intensity, complexity and precision. The infectious raw African rhythms are sure to get everyone up and dancing!